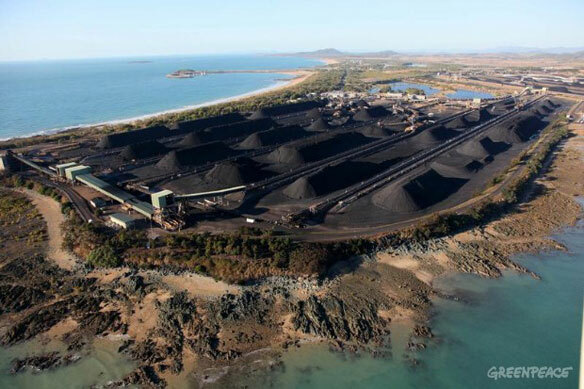 The Great Barrier Reef Marine Park Authority has approved a proposal to dump dredge spoil (about 3 million cubic meters 106 million cubic feet) from the Abbot Point coal terminal expansion in the Marine Park area. A coal basin near Australia’s Great Barrier Reef will rank among the world’s worst producers of carbon pollution if fully mined, Greenpeace said, as it warned of devastating consequences. ” Cooking The Climate Wrecking The Reef: The Global Impact Of Coal Exports From Australia’s Galilee Bassin”, is a Greenpeace Australia Report.